Trump joined Frank Suits Jr. and Rep. Tenney to witness a demonstration of a cold-in-place recycling project on Patriot Road leading into the Suit-Kote facility. Once the paver got into the mix, Trump jumped up on top and took the controls. 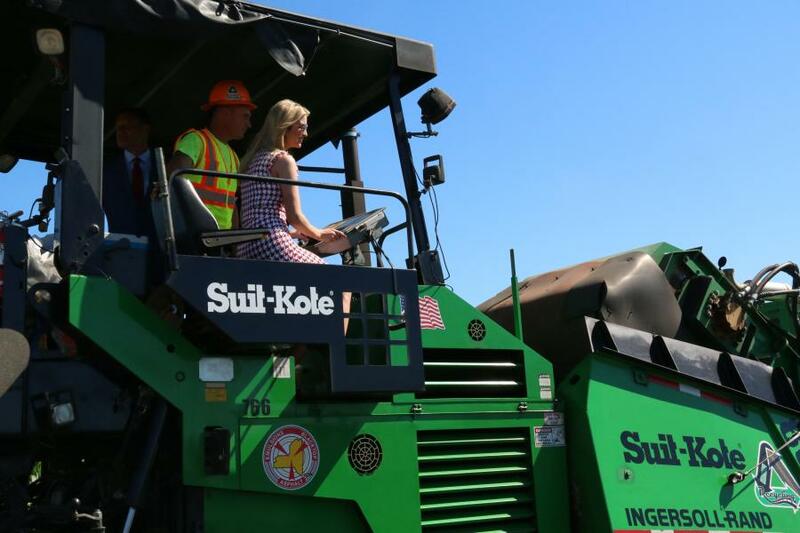 On July 9, Suit-Kote, an asphalt products manufacturer, road construction, maintenance and asphalt applications engineering company, from Cortland, N.Y., and U.S. Rep. Claudia Tenney hosted Ivanka Trump at the company's Preble facility. 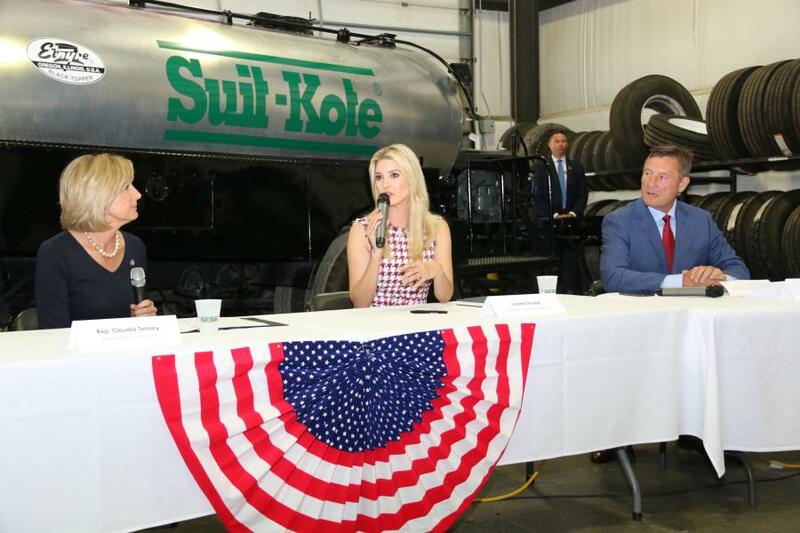 The event began with a tour of Suit-Kote's shop where Trump had the chance to ask mechanics Dan Keith and Chris Marsh questions about various pieces of equipment they were working on. She then led a roundtable in front of about 150 business leaders from across Upstate New York to discuss the positive impact the recent tax reform has had on businesses and employees. 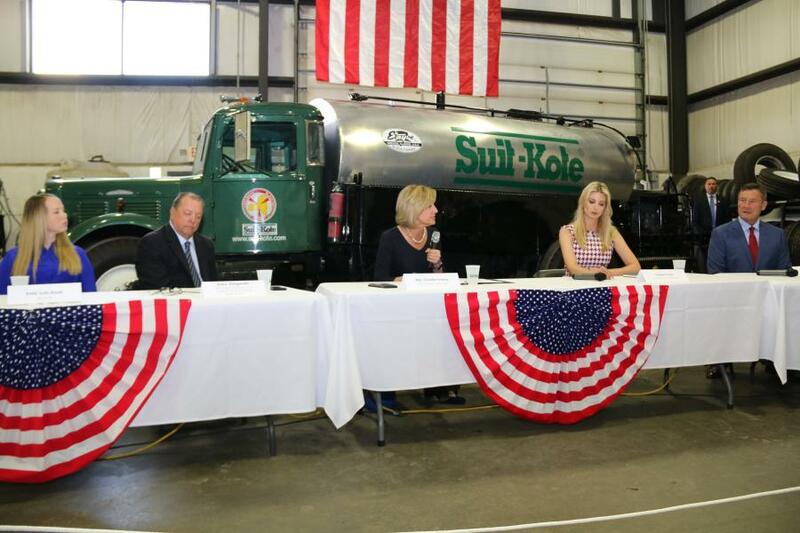 The panel included Suit-Kote representatives Frank Suits, Jr., Emily Kissel and Emily Finn, along with Cortland County Industrial Development Agency President Garry Vangorder, Cortland Chamber of Commerce Executive Director Bob Haight and Rep. Tenney. Trump later joined Frank Suits Jr. and Rep. Tenney to witness a demonstration of a cold-in-place recycling project on Patriot Road leading into the Suit-Kote facility. Once the paver got into the mix, Trump jumped up on top and took the controls. Suit-Kote secured this opportunity through a series of events that began when Congress passed the recent tax cut. The company decided to match the effective rate decrease by giving its employees a rate increase to match. Suit-Kote also sent a letter to the New York Republican delegation voicing their appreciation for their efforts.